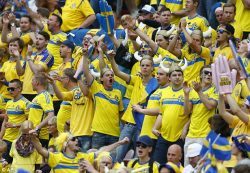 The Swedish national football has not managed to qualify for the FIFA World Cup since 2006 when they reached the round of 16. The next 2018 FIFA World Cup qualification match of Sweden is scheduled to take place on June 9 as they lock horns with the national side that is currently located at the 1st spot which is France. Alexander Isak and Emil Forsberg are some of the more talented rising stars that are being labeled to be the next ZlatanIbrahimovic or at least to be the performers that are capable of putting the Swedish national team on their shoulders. Emil Forsberg recently showcased his goal-scoring abilities as the 25 year old midfielder score twice during Sweden’s qualification match against Belarus which was played on March 25.